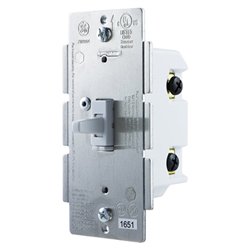 The GE 14292 is a ZWave Plus compatible in wall on/off switch that can be used in new or retrofit applications providing ZWave automation control of the switch as well as local control. The toggle style blends with standard builder toggle switches so you can keep the original look but add ZWave automation. As a ZWave Plus device, it has an improved wireless range of up to 50%, a 250% faster processor and 400% more memory and energy efficiency. 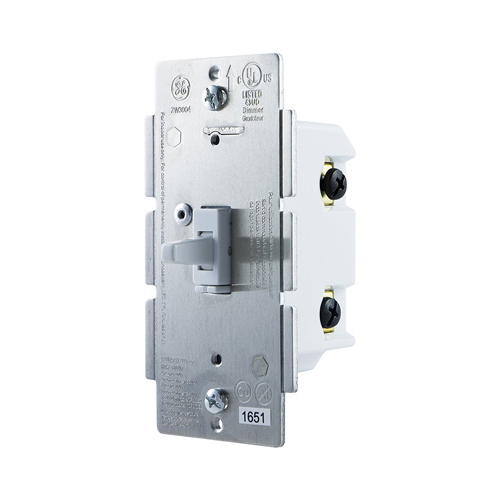 These GE ZWave Plus switches are compatible with all the major home automation controllers including Vera, Homeseer, Smartthings, Revolv, Wink, Leviton/HAI as well as most ZWave enabled alarms. Copyright © 2003 - 2019 AARtech Canada Inc.